New Jersey certainly saw its fair share of snow this winter, particularly late in the season. Do you feel like you missed out on some things this winter because you didn’t have the right type of vehicle to get you through the snow? Don’t make the same mistake next year and get to your Springfield Toyota dealership so that you can get yourself in a new four-wheel (4x4) or all-wheel drive vehicle that will make winter driving much more manageable. For starters, it’s important to understand the difference between 4x4 and all-wheel drive vehicles. While it may seem like these terms can be used interchangeably, they’re actually two completely different things that use different components to perform the necessary functions. AWD: A drivetrain that employs a front, rear and center differential to provide power to all four wheels of a vehicle. 4x4: A drivetrain that employs two differentials and transfer case to provide power to all four wheels of a vehicle. All-wheel drive is typically found on lighter vehicles like crossover SUVs and helps them gain better traction on asphalt and concrete road surfaces. Four-wheel drive is used by vehicles such as trucks that often face off-road conditions like mud or off-road trails. 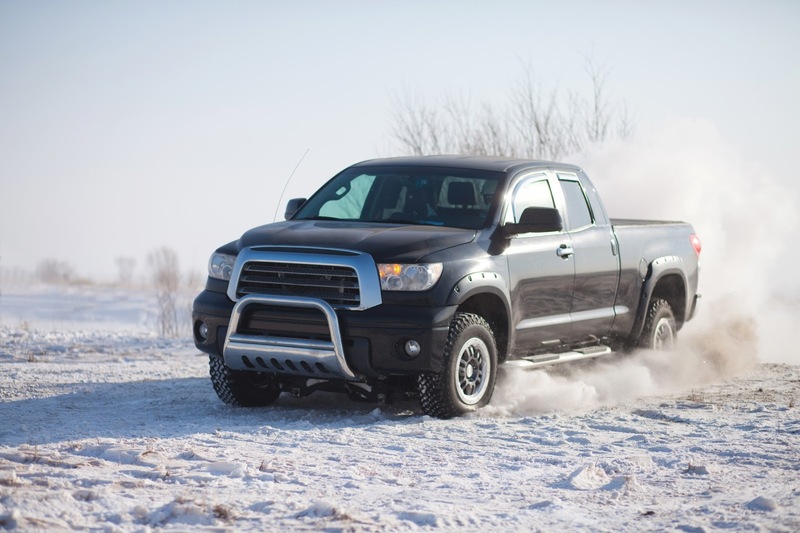 There are several Toyota models that fit the description of being either all-wheel or four-wheel drive. Four-wheel drive models include the Toyota Land Cruiser, Toyota Tundra, Toyota Tacoma, and Toyota 4Runner. These vehicles’ towing performance and terrain management systems are second-to-none and will help get you through the snow. All-wheel drive models include the Toyota Highlander, Toyota Sienna, and the Toyota RAV4. These crossovers and minivan are loved by Toyota customers because of their lighter-duty utility. They are typically spacious and great for gripping the road during winter driving. Regardless of which model you choose, you’ll notice an amazing improvement from driving front-wheel or rear-wheel drive vehicles in the winter. But don’t wait all the way until next winter to make the move. Take advantage of the great deals and savings there are at Springfield Toyota right now!